If you don't do anything else this Medicare Season, then do this! We’re not talking about taking anything away from your Medicare sales. We are talking about how to equip yourself with a revolutionary “game plan” that will increase your relationships with everyone you meet with and allow you to better serve your clients once open enrolment is over. With regulations and guidelines continuing to increase, now more than ever we all can see that you need to diversify your business and create a new revenue source. Did you know that the Medicare clients you meet with everyday are the exact same people who need coverage for final expenses? Helping serve their needs just makes sense. It’s a perfect transition and so simple to do when you use our marketing system. Also, it’s proven that your previous clients want to buy more from you! The Life Insurance Market Research Association (LIMRA) found that 78% of life insurance shoppers with previous relationships with their agent bought life insurance when their agent presented it to them1. According to this research, there is a huge need for agents to present life insurance products to seniors. And, since you’re the trusted advisor to your clients, they are also more likely to buy life insurance from you. All you need to do is present it to them! Now I have a doable system for me to diversify into Final Expense. I have always known my Medicare clients needed final expense, but now I see the end zone. Every client is a prospect! You don't know how many Medicare clients I have overlooked over the years. With Postseason Game Plan, I think about the next possible sale after every client I meet with. MAKE SURE YOU GET YOUR COPY OF THE BOOK THAT WILL PROPEL YOUR BUSINESS BEYOND THE MEDICARE SEASON! 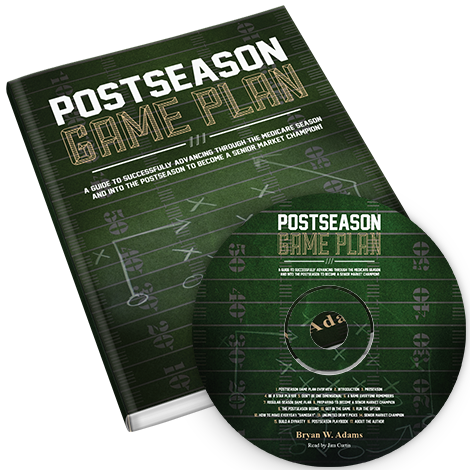 Agents across the country have raved about the eye opening experience of reading Postseason Game Plan. Don't go another year without getting a copy of this book. As you will see, it has been written by agents, for agents. We understand what it is like to work in the senior market and on 100% commission. It is our goal to help you focus in and prepare yourself for future sales once Medicare season is over. View a sample of the book, listen to a portion of our new Audiobook CD or contact your marketing partner to get started. We are excited to bring you a new tool this year to help you prepare for the postseason. As you drive to and from client appointments you can now listen to each and every chapter of the Postseason Game Plan. Take part in "highway university" as you listen and absorb sales idea nuggets from all 14 chapters. This audiobook is professionally recorded and produced, so make sure you preview a track sample below and request your very own copy today. Play Audio Sample Your browser does not support the audio element. I am not much of a reader but this book was a super easy read because it related so well to my business. I have read it a few times now and apply something new after each completion. We all get so many "marketing systems" from IMOs. This is not another gimmick. This actually works. I filled up the client pages in the back and have made significant sales in Final Expense. The Postseason Game Plan App has an intuitive design that makes it easy to use and navigate. It is designed to organize your client information and to provide a simple way to export that information to an HTML or Excel document for follow up. The Postseason Game Plan App is a great tool to keep track of the clients you have followed up with and have yet to follow up with! The Postseason Game Plan takes less than one minute to do. Are they 65 years old or older? Do they have kids and grandkids? Do they seem like people who like to plan ahead? Are they a person who wants to be remembered long after they’re gone? Follow all of the CMS guidelines but simply get back in your car and write their name down in the back of the Postseason Game Plan book. Again, if you don’t do anything else this Medicare Season, then do this! 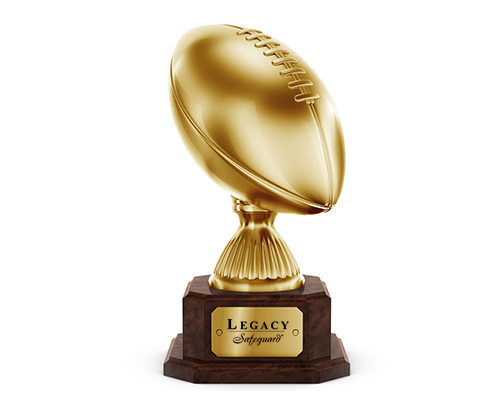 The Postseason Game Plan will help grow your Senior Market business year after year with the amount of referrals and cross marketing opportunities you will be receiving with Legacy Safeguard. Watch the Legacy Safeguard video to learn more about the exclusive turn-key service that you may have access to with certain major final expense carriers! At Legacy Safeguard, we create each and every marketing system with you in mind. It is our goal to make any process be truly turn-key so you don’t have to reinvent the wheel or tie up your staff with additional work. With that being said, we have taken the same measures and applied our “keep it simple” philosophy for mailing your Medicare clients information about Legacy Safeguard. Mail letters to your Medicare clients for only .50 cents per client plus postage. Letters include return addresses and a genuine stamp. No limit on the size of your client list! Quantities over 1,000 may be eligible to receive reduced pricing. First class presort may be .38 cents each (minimum 500). First class for under 500 clients will be a full price stamp. Postage can be as low as .28 cents each (minimum 200). Watch the Legacy Safeguard video to learn more about the exclusive turn-key sales and marketing system that you may have access to with certain major final expense carriers! Huddle Up And Get Your Free Copy Today! 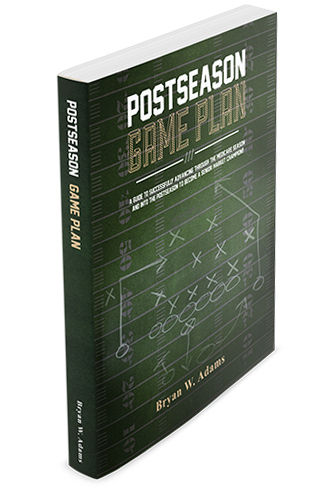 Now is the time to get started with the Postseason Game Plan! Simply contact your Marketing Partner, the agency that you work with for final expense and Legacy Safeguard, to request your Postseason Game Plan book along with the Legacy Safeguard Client Letter and Client Appointment Script! You will find that this is one of the easiest sales presentations in the Senior Market that you will ever make, and we’ve outlined everything for you step-by-step. It’s really that simple, and we have it scripted out for you! 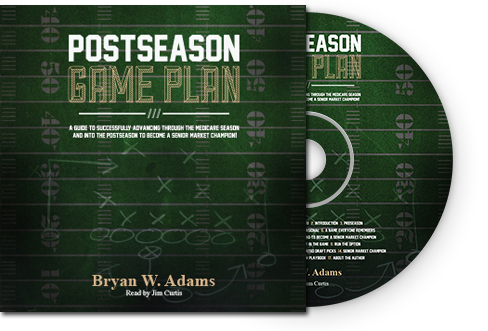 Get your copy of the Postseason Game Plan today and we look forward to seeing you become a true Senior Market Champion! Copyright © 2018 Legacy Safeguard, LLC All rights reserved.